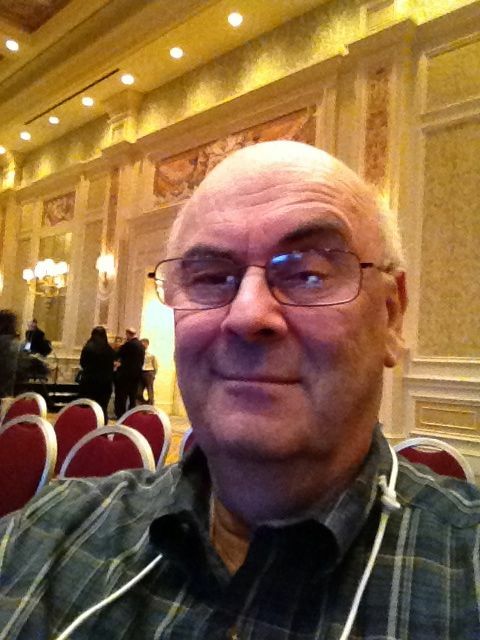 18 Nov 2011: Oleg Shilovitsky, one of the more prolific bloggers in the PLM industry recently announced his new venture – Inforbix LLC. Last week I had the chance to speak with Oleg, the CEO, and his partner, Vic Sanchez, about what their new offering was all about. Of course, I suspected that the new company, with Oleg’s background as a development manager of PLM systems, might be about PDM or PLM. Of course I was right. But, I wanted to find out what the product was all about, who founded the new company, what its objective was, a little bit about the technology, and who might use it and what it might cost. Oleg and Vic were most accommodating in helping me understand and ferret out answers to the above questions. Inforbix began development on its product in early 2010. The product was officially launched in last October, 2011, and has been in Beta since last April. Shilovitsky teamed with a Russian development team to bring the product to fruition. In a nutshell, here is what I learned. Inforbix, today, consists of a product data crawler app that is installed onto the target system or local network containing the product data to be indexed. After user customization of the crawler app, which basically tells it where to find the data to be indexed, the app goes to work finding relevant product data, exploring the metadata stored within the data files, and indexing the data. No actual data files are uploaded to the cloud, only metadata and where the files are located. What makes this exciting is that the crawler can crawl through many data types and vaults, and decode the inherent metadata and product structure. Both the crawler app and the cloud based search environment are optimized for manufacturing and design companies. I like that non–vaulted data such as Word docs and pdfs can be “related” back the products. The system today supports crawling CAD and PLM data from Autodesk, PTC, SolidWorks, and Siemens. More will be coming in the future. Also supported are pdf, Word, and Excel files. It is secure since no files are changed, moved or uploaded. Being cloud based, little maintenance or local support is needed. It is affordable and seems to be priced right – the first 20K files are free. Each 20K files after that cost $600 per year. Sanchez estimated that a typical medium sized company with 100 people and 30 engineers might spend $10K to $15K per year, a seemingly small cost considering that no hardware and no support staff is needed for the service. Also, it immediately allows accessing the data worldwide using a browser. Asked about what happens if indexed data moves, Shilovitsky said that the crawler monitors and tracks the new location, and updates the cloud. Inforbix offers many ways to present the data to make sense of the product connections. These include Excel like tables and filters. The original data still needs to be maintained along with support and local data backups. A local PDM system might still be needed to support applications that depend upon understanding the product data structure. Further discussions are needed as to how the system allows role-based access to the data. For instance, how can suppliers access the data? Data being relocated might have a delay before the indexes are updated on the cloud. I really like the concept and the possibilities for extending the concept to other areas of a company. It seems that it would be relatively straightforward to have different crawlers looking for different data types. Think of it as a private Google for the data in your entire company or how to get organized without the fuss. If you are a company without a PDM system (and some 75% of companies are), then this is a perfect way to get started. With a free entry price, it makes sense to give this a try. Last Summer (August 2010) TechniCom Group published a report comparing Autodesk Inventor and Dassault Systemes SolidWorks using our Delphi Expert Analysis methodology. The results of this report were somewhat controversial; Autodesk Inventor scored better in all fifteen categories than did SolidWorks, including core modeling. The scoring for the Delphi Expert report was the result of a very detailed survey of eight expert users of the two systems, four experts for each system. The experts had comparable familiarity with their systems and comparable backgrounds. Readers of that report evidenced hunger for more detailed information, one that might be less sensitive to opinions and be more factual. As a result, TechniCom worked with Autodesk to develop a series of tests between the two systems that might expose the differences between the two systems and perhaps highlight advantages Inventor might have as compared to SolidWorks. We are publishing the results of this series of tests in an eight part blog beginning with this summary of the results. Every two days or so we will add the details of each test, concluding the whole series within the next three to four weeks. Videos and images of both systems performing the tests will be included. At the end of this blog series we will publish a pdf version of the complete report on http://www.cad-portal.com. Autodesk commissioned (paid for) the tests. Autodesk specified the tests which it challenged TechniCom, using SolidWorks Premium 2011, to match the results. The seven tests are in the seven categories where TechniCom’s Delphi Expert report showed Autodesk Inventor rated the highest. Extra cost third party software was not to be considered. When we were able, we used no-charge third party add-ins for SolidWorks — none were needed for Inventor. First we had to decide what to test and the scope of the testing. Followers of the mechanical CAD market are no doubt aware of the term Product Lifecycle Management, often designated as PLM. Autodesk’s mechanical philosophy is to eschew developing PLM software in favor of digital prototyping. Thus, Autodesk’s definition of digital prototyping includes the basic functions of PLM — industrial design, design and engineering, data vaulting, and collaboration, without the post-manufacturing baggage. Autodesk has been carefully steering its Inventor software product development over the past few years to enable workflows that take maximum advantage of seamlessly passing data among its built-in application solutions. Thus, what we see in Inventor today is a careful melding of technologies that Autodesk has acquired or built. Many of these technologies are not available as extra cost add-ons to the base software, but fully included as part of the Inventor software. Some example, of which you will see more later, include mold analysis software, mold base design capabilities, built-in advanced simulation, inherent design automation options, an intelligent part library, built-in engineering calculations, and many others. Not only are these available as an integrated part of Autodesk Inventor, but they are often combined to form workflows that aid in developing the digital engineering models. Even deciding on these seven areas leaves a great many options to be tested. Autodesk decided on the detailed functions to be tested; Autodesk specified the seven tests in detail. They are aimed at comparing the two systems ability to perform common, real-world engineering workflows. These tests are not designed to be impartial; they are taken from standard demos used by Autodesk that were designed to represent a series of engineering workflows highlighting Inventor’s digital prototyping capabilities. Most of them, as the users will see from the blogs that follow in the next few days, are aimed at performing a complete design sequence. The complete eight blogs, including this summary, will cover the seven workflow tests we performed. We will include the details of what we tested, images and videos of the results, what we observed comparing the two systems, and our summary of how well each system was able to perform the desired workflow. Autodesk provided TechniCom with the test definitions including videos of Inventor performing the desired task, starter geometry, related dimensions, and other relevant data, all described below within each test section. 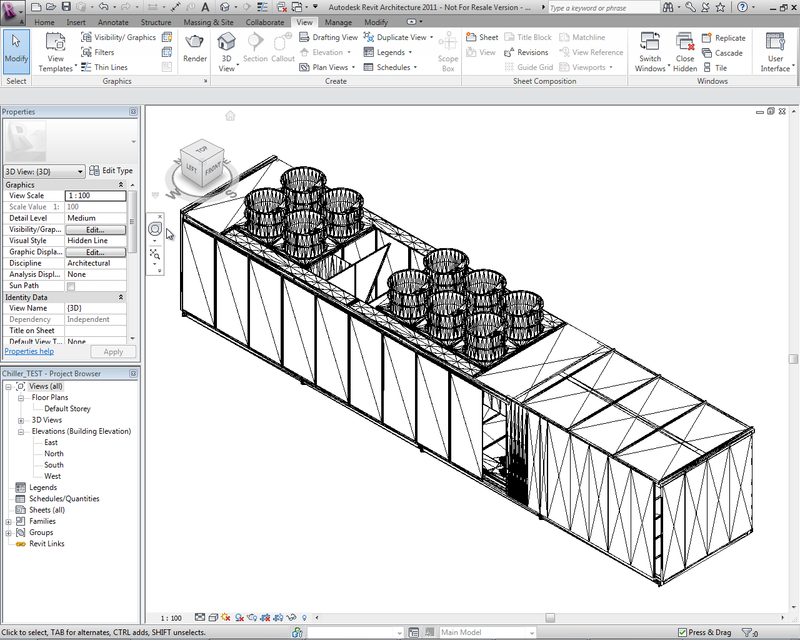 TechniCom’s task was to perform the same tests using SolidWorks Premium 2011. Because Autodesk provided much of the model data we were able to focus on the desired workflow details of each test rather than building geometry. Autodesk commissioned TechniCom to perform these tests and to document the results. TechniCom, in collaboration with a Certified SolidWorks Professional (CSWP) performed and analyzed these tests during November and December 2010 using Inventor Professional 2011 and SolidWorks Premium 2011. To make the scope reasonable, we limited each vendor’s software strictly to what was included with the package or third party add-ins that we were able to find and download free of charge. For the test definitions, we used the Inventor videos illustrating the work to be performed. 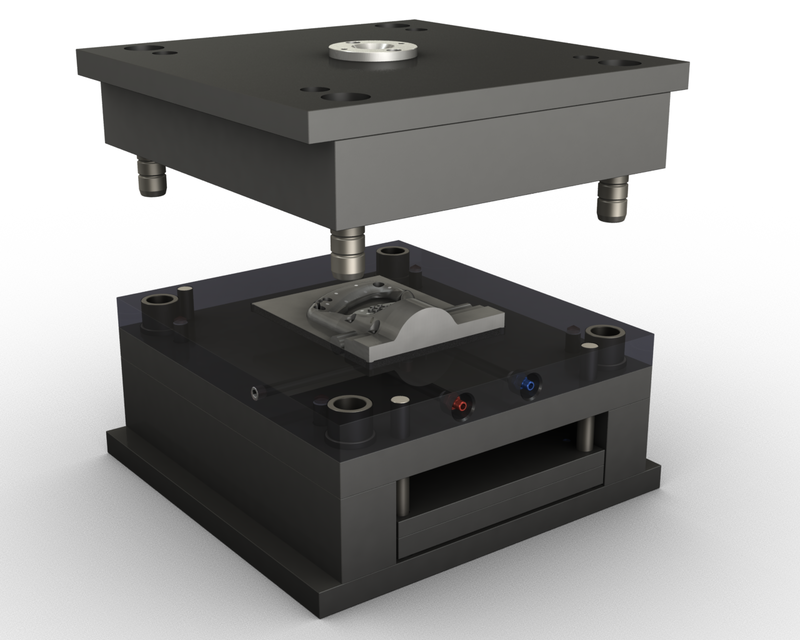 We attempted to deliver the same results, as did Inventor, using SolidWorks Premium 2011. As we publish the results of the seven tests, we will make available annotated videos of both Inventor and SolidWorks performing the tests on TechniCom’s blog at http://www.raykurland.com. Readers wanting to understand how the two products compared have the unique ability to review these videos along with reading our test summaries in this report. We remind the reader that we compared Inventor Professional 2011 versus SolidWorks Premium 2011 with the restriction that extra cost third party software was not to be considered. When we were able, we used no-charge third party add-ins for SolidWorks — none were needed for Inventor. We plan to provide more detail, including videos of both systems performing the tests, in a series of blogs beginning in the next two days. In the first two tests, plastic part design and injection mold design, Inventor clearly outclasses SolidWorks. Whereas Inventor completed all aspects of the test, SolidWorks was unable to complete major portions of the analysis of the part and the mold. Inventor was also able to design the mold significantly faster than SolidWorks due to the inclusion of automated tools for designing the various subsystems of the mold. For the assembly design and analysis test, both systems were able to model the addition of a clevis pin. However, Inventor excelled in its ability to design the correct pin by coupling its engineering calculation library to the potential design. In other words, Inventor helped select the correct pin size because it was able to use its calculations concerning the required stress that the pin would need to perform correctly. This is subtly different than SolidWorks, which used its library to size the pin, but without taking into account its stress requirements. 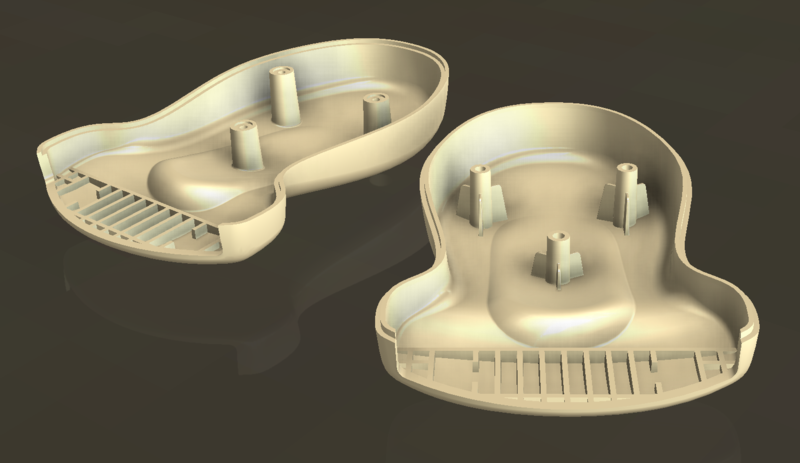 The SolidWorks approach was to design the pin and then analyze it in an iterative fashion using its built-in FEA solution until the specifications were met. In this case SolidWorks was unable to verify that its built-in FEA solution was correct. 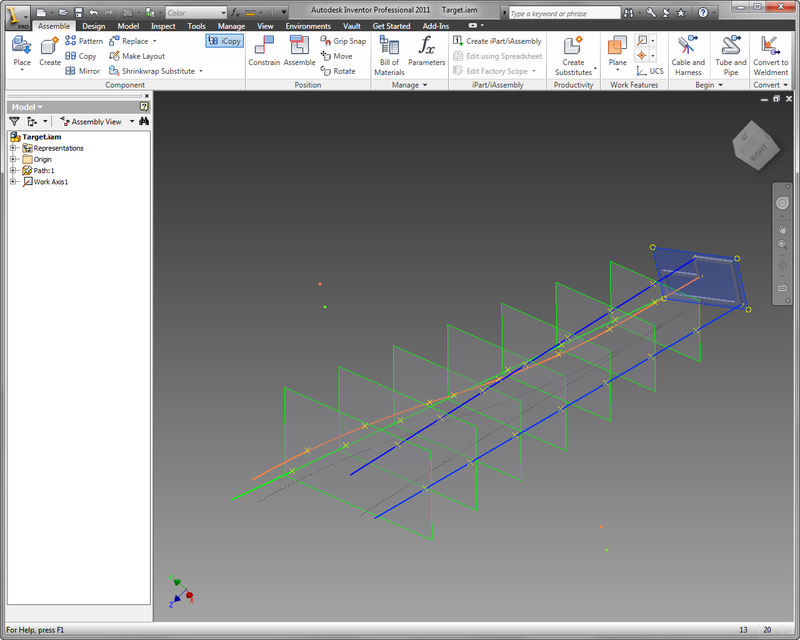 A more advanced version of the FEA solver would have been required; concomitant with more advanced engineering skills. The latest release of SolidWorks added some BIM exchange capabilities, but Inventor’s BIM data transfer capabilities exceeded SolidWorks in key areas important to building designers. 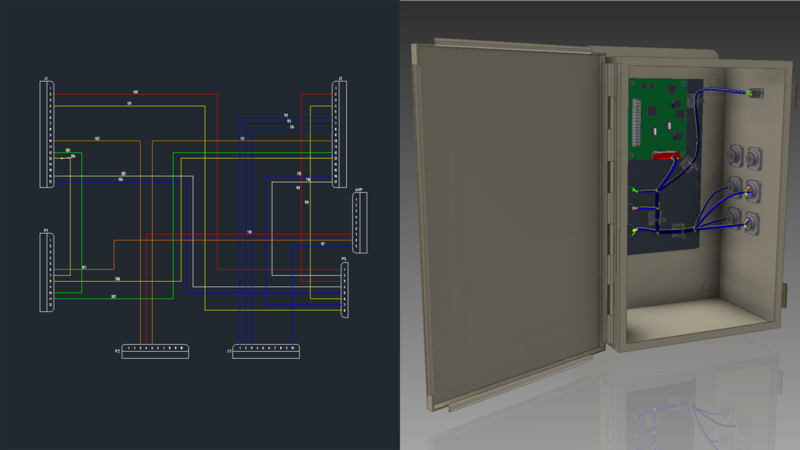 These included specifying connection points and component types that are carried over to the BIM-designer’s software. In addition, the mechanical designer using SolidWorks had a more difficult time orientating the model and simplifying a non-native model for export. Our test of CATIA interoperability and direct modeling on imported models reiterated the widely known issue that SolidWorks does not directly import a native CATIA V5 file, even though both products are part of the same company. Direct modeling was comparable for both Inventor and SolidWorks, with SolidWorks being a little easier to use for the simple direct model changes we made. The SolidWorks drawing output in DWG format produced an incorrect dimension in a scaled view. For design automation, our tests revealed two weaknesses of SolidWorks. 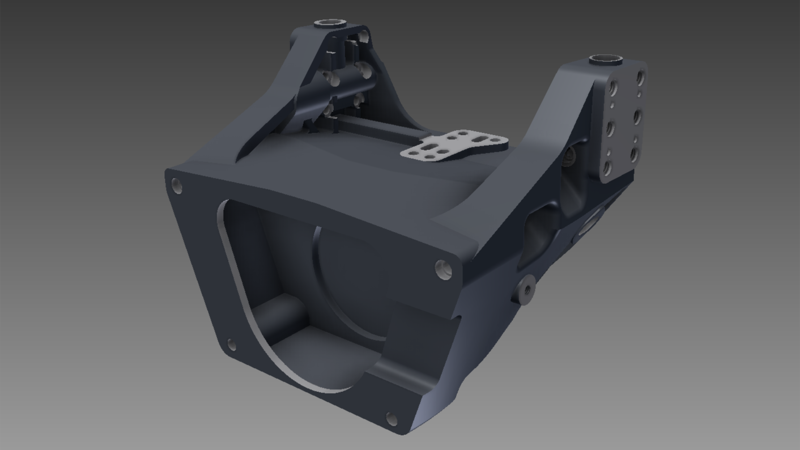 SolidWorks with DriveWorks Xpress was not able to automatically scale drawing views to fit a part within the confines of a drawing after the size of the part was changed. Manual intervention was necessary. A second weakness was shown when scaling a copied assembly using 3D curves to define key points as the assembly was copied and scaled to other planes. 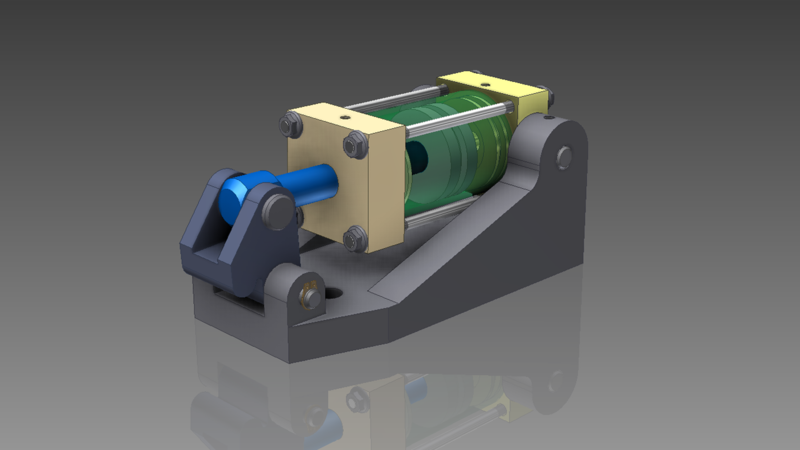 Inventor was easily able to scale a copied assembly using drive curves; SolidWorks could, but required significant manual effort. Both systems proved to be comparable in mechatronics where we tested the ability to build wire harnesses using schematic input from electrical software packages, albeit Inventor was able to do so with many fewer interactions. Ray Kurland, President of TechniCom, knew that the tests were meant to highlight Inventor strengths, but was surprised that SolidWorks Premium 2011 was, in many tests, not able to do the work without adding pricey third party software. Duplicating Inventor’s capability on these tests with third party products will also make SolidWorks substantially more expensive than Inventor. These seven tests underscore our contention from our previous Delphi Expert Analysis, that Inventor is a mature system that can more than effectively compete with SolidWorks and should definitely be considered for even the most complex situations. The Inventor workflows illustrated in this series of tests are integrated and highly logical, enabling users to accomplish their design goals with minimal effort. Beyond that, we hope to have shown the value of Autodesk’s digital prototyping emphasis, which we expect will continue to evolve even further. Overall, TechniCom is most impressed with Inventor and the direction Autodesk is taking for the future. To keep abreast with our continued tracking of the industry and our reactions to Autodesk’s direction we advise readers to follow our blog and twitter feeds. “Comparing the Capabilities of Autodesk Inventor Professional 2011 and SolidWorks Premium 2010 Using TechniCom’s Delphi Expert Technique”, 9 August 2010, a paper by TechniCom Group, available at http://www.cad–portal.com. Lately I have seen a lot of rumors about SolidWorks (SW) plans for placing their software in the cloud. I spoke to Rich Allen, SolidWorks Manager of PDM Product Management, to clarify what was announced and to explore where SolidWorks might be going. I advised Rich of the questions in advance. These and his replies follow below. Q. 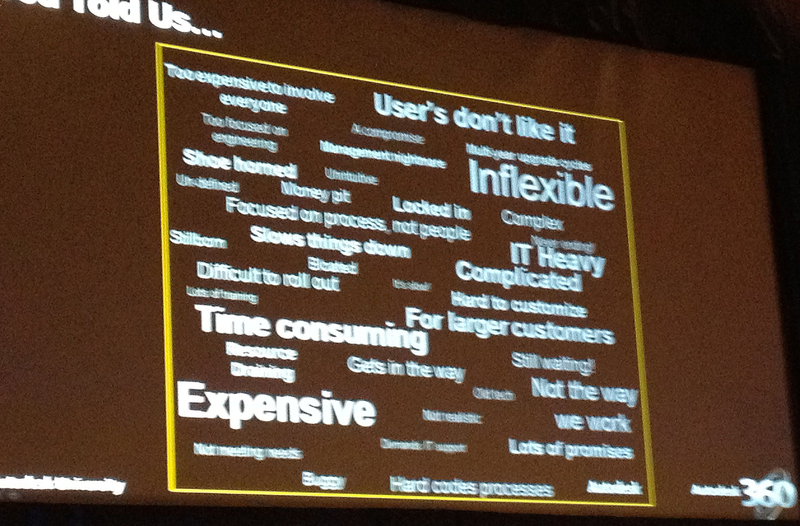 Please describe, as best you are able, SW’s plans for enabling Cloud computing. What apps? At what cost? A. The only application we have announced to date is our upcoming data sharing application to be called SolidWorks Connect. We have not established firm pricing for this product yet, as it will not ship until next year, but we expect a cost under $100/user/month. This is a data sharing product that will allow users to manage and share SolidWorks and related files both internally and with users around the world. The benefit to smaller companies that may not have large IT staffs can be significant as users will be able to enjoy data management benefits without upfront purchases of hardware, software, services and very little ongoing service/maintenance. We will continue to look at all applications where we think the cloud can offer our clients value and solve real problems. Cloud apps might not be for everyone and we won’t be forcing users to move to the cloud, but our cloud offerings will enhance our current on-premise offerings if and where it makes sense. Q. AT SWW2010 plans for Cloud computing seemed to be limited to PDM access only. Has that changed? Are there any plans for interactive apps on the cloud? A. The only application we have announced to date is our upcoming data sharing application to be called SolidWorks Connect. 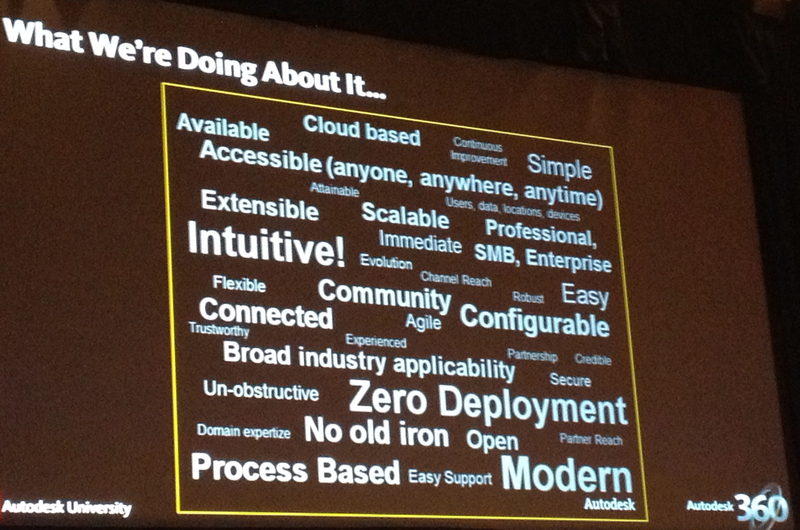 We will continue look at all applications where we think the cloud can offer our clients value. We will not be forcing our users onto the cloud, but will continue to listen to our users and offer solutions that make sense for them, whether they are on-premise or on-the-cloud. Our goal, as always, is the help solve real problems for our users and customers. Q. What is the precise status of cloud apps at SW in terms of working or Beta testing? A. We are in development with SolidWorks Connect and expect to have working Beta testing in Q4 of this year. [It is expected to ship 1Q2011] We do not have any other timeframes or announcements on additional applications at this time. Q. Will users be required to use Enovia to get to/from the cloud? 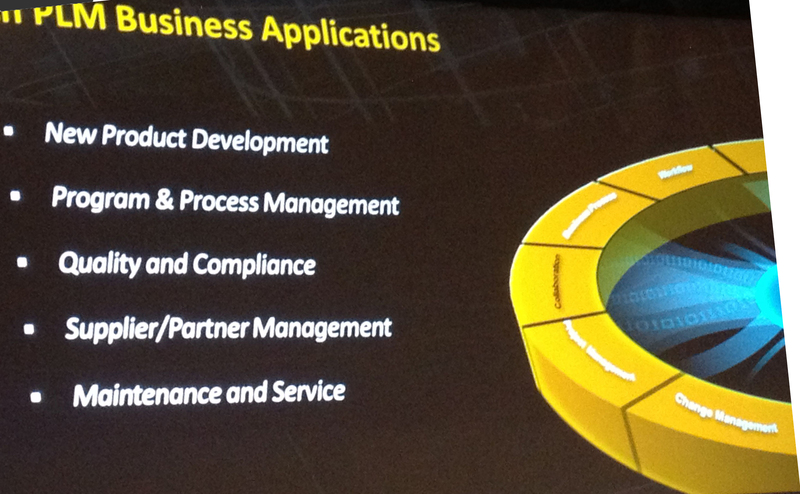 Or will SW’s existing PDM products support it? What might be the differences? A. We will base all of our future cloud applications on the ENOVIA V6 infrastructure. This will help us leverage our own technology across all the brands. It should be noted that with cloud computing, the engine is on the cloud –- end-users only will be concerned with the client they use to access the application, so we don’t expect users to have to install ENOVIA servers at their site to benefit from cloud computing. Q. 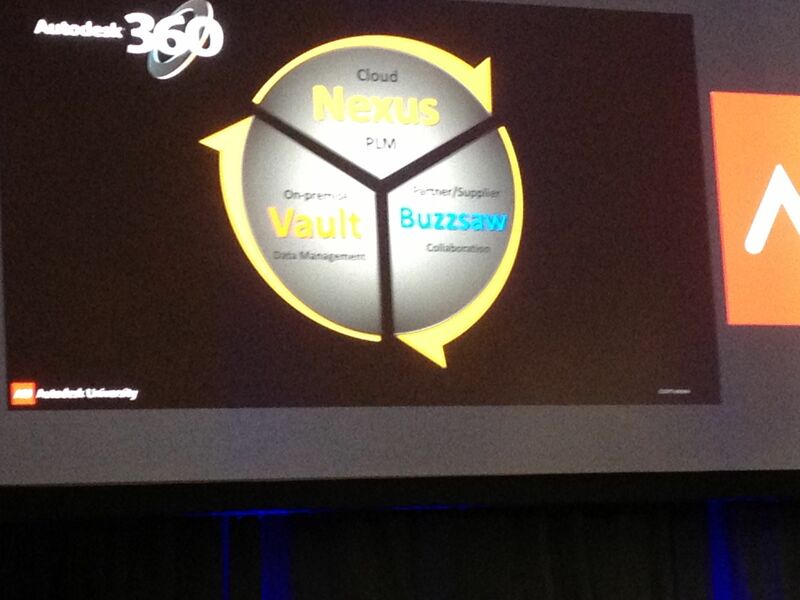 Looking to the future – where do you see cloud computing at SW? A. We believe that we are at the forefront of a revolution in the CAD/PLM/Simulation/Engineering Tools industry and that cloud computing will play a large role. There are economies of scale that the cloud can offer in terms of massive computing capabilities (simulation, rendering, translation), scalability (start with 1 user migrate to many); reduction in upfront costs – whether it is a CAD or PDM or PLM system, imagine not having to buy a lot of hardware and software and implementation up front, your initial costs are very low; and, upgrades may also be easier and faster as things are done on the cloud. We also discussed how to protect intellectual property. SW plans to add some limited access control, but not much more than is available to users that e-mail SW files. We would prefer to see some sort of Rights Management control. My opinion is that this is an excellent approach, particularly for users that do not have or want to have their own IT staffs. The cost seems reasonable and the benefits large, offering instant-on PDM data sharing worldwide. SmarTeam, a PDM system that originated and was developed in Israel in the mid to late 90’s, was specially configured as an add-on PDM solution for SolidWorks, which at the time had only a limited PDM capability. With the interest in and the growth in PDM (PLM), SmarTeam over the years migrated from an independent company with its own sales force, to one falling under the sales umbrella of SolidWorks, to a multi-CAD software organization, and finally, with DS’s multifarious PLM offerings, has now been submerged into Enovia. From recent press announcements we infer that most development within Israel for the newest versions of SmarTeam has been eliminated. V6 development (the new technology) moved out of Israel to Paris and Boston. Israel continues V5 ENOVIA SmarTeam (the old version) development. The ENOVIA SMB version, of which SmarTeam is a part, is called ENOVIA Express in V6 R2010, the most recent announcement. Alas, SmarTeam suffered the fate of so many products. It became so popular that it became bloated trying to support higher and higher end accounts. Its simplicity was lost, and over time its technology became outdated.